Thank you very much! We'll see you on the fields of battle! 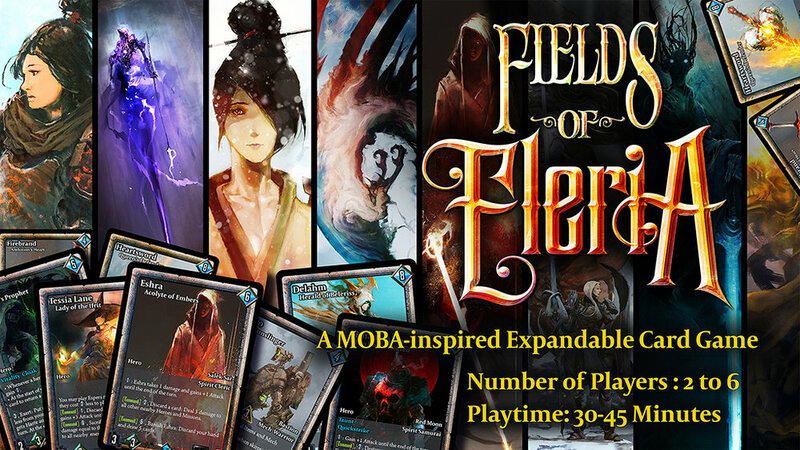 Fields of Eleria, where Multiplayer Online Battle Arenas (MOBAs) meets the strategic deck-building and tactical gameplay of traditional collectible card games (CCGs). This is League meets Magic in a high fantasy world with a touch of sci-fi, where you customize your deck, tune it to your play style and strategy, manage your heroes, and power through three lanes of combat to siege your opponent's Core! 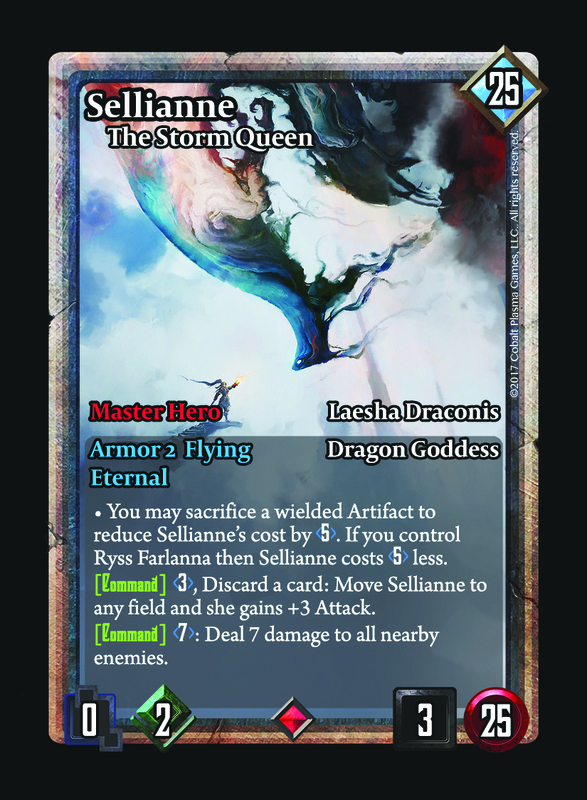 Featuring an array of over 40 Heroes to build around, with more coming with each expansion, Fields of Eleria has an ever-growing number of deck-building options that can let you cater to virtually every play style and strategy. Build a fast aggro deck, a mid-range control goodstuffs deck, solo-mid attack damage carry focus, combo, all minions, fortification build, faction-centric, whatever your heart desires. Fields of Eleria offers you a competitive environment and gives you all the tools upfront to play to your heart's content with. 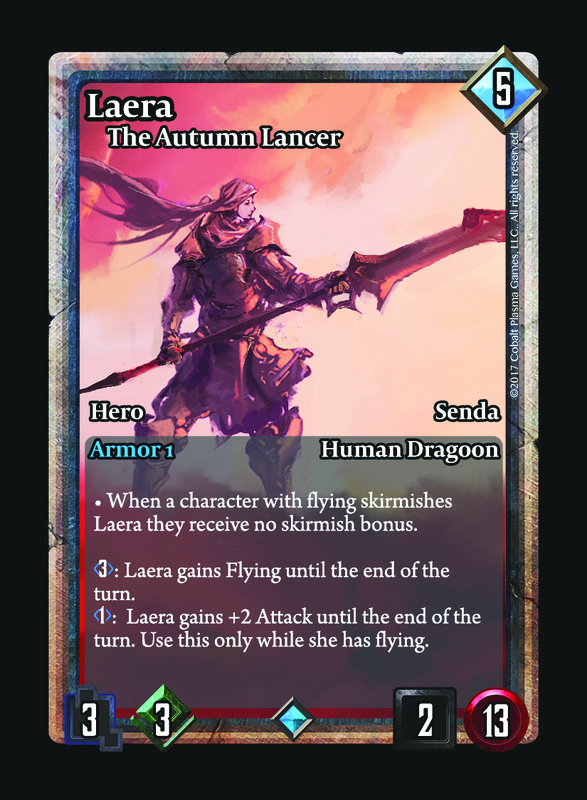 Every copy of Fields of Eleria will feature all the available cards in the set, no hunting for super rares, no losing because someone spent more money than you. The playing field is level and it falls to you to rise to victory. 08.15.2018 -- Version 1.05 is almost ready, the main update from ver1.00 is the new card layout. It retains a majority of the older layout but consolidates the center info into 2 main chunks rather than split it into 4 separate sections. Gear wield/slot requirements have been moved to the right of the card and recolored, Ability cards have a different coloration for wield cost to help differentiate them from Gear cards at a glance. 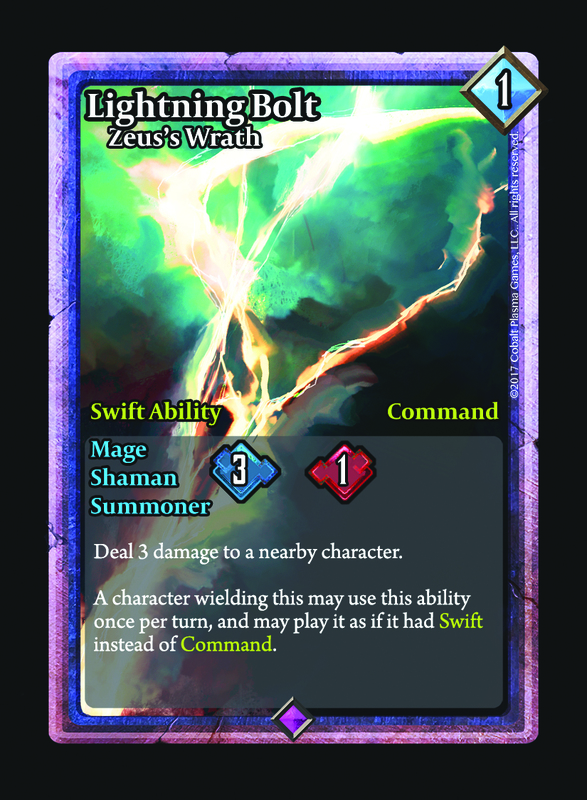 Version 1.05 will be available soon in Core Set, Booster Pack, and Trial deck forms through print on demand sites DriveThruCards and The Game Crafter. Currently I have Version 1.00 taken down because of file errors on the upload and figured that since 1.05 was so close it wouldn't make sense to sell one and update it a week later with another one, namely one that has all the correct/current iterations of cards; there are some large differences between the old 0.99 cards that got uploaded and the 1.00 cards as far as balancing goes. Testing on expansion cards is underway, hoping to have that ready by the end of the year. Some of the cards in our current test pool. Vexic Swarm, Red Moon, and Espervale are the primary test pieces for the Beta One set. The Vexic focus primarily on quick aggression with some recursive warding. Red Moon builds up their heroes with gear, mainly weapons, and offers up the most versatile AD Carry in the game right now (Sachie with 7 inventory slots). 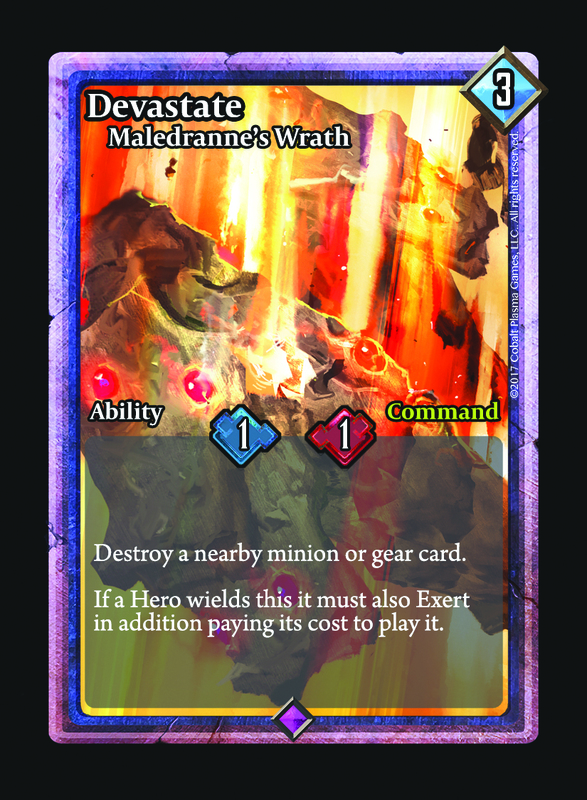 Espervale is a bit of a love letter to the summons and summoners found in games like FInal Fantasy and Lord of Vermilion, where a summoner-class character facilitates and conjures forth powerful creatures to aid it in battle. There are also a few adjustments to previous test cards, a simplification of Minions and their abilities, as well as the beginnings of frame UI variation. 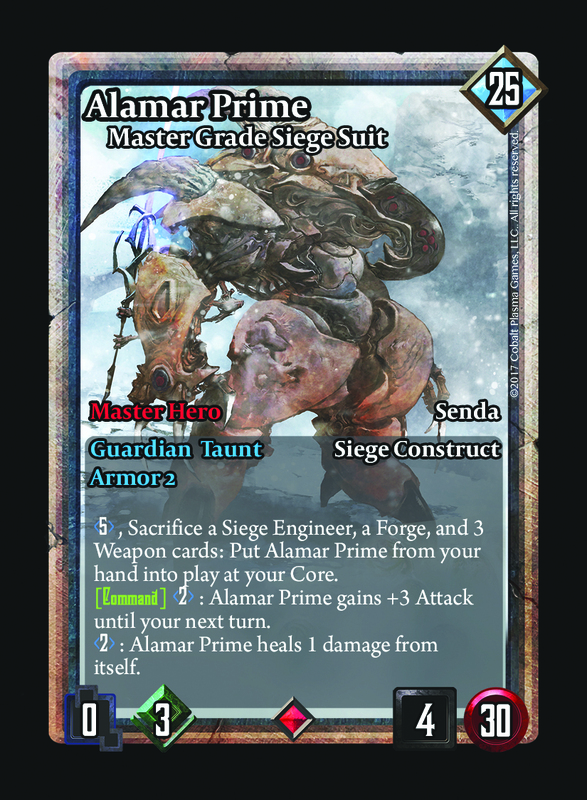 Expansion cards, primarily the upcoming Heroes and Gear cards, have started testing. They expand upon current factions and were designed from the ground up to work with them.